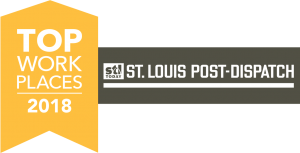 Design-Build - St. Louis Engineering Firm | Thouvenot, Wade & Moerchen | TWM, Inc. While many projects follow the traditional Design-Bid-Build delivery method, Design-Build, in which the owner works with one unified designer/builder team, has been gaining in popularity. Each format has pros and cons and the method you select depends on your particular project constraints and preferences. Choosing a Design-Build approach for your next project can streamline and simplify your approach to construction. It’s a way for owners to work with one team from start to finish, with greater collaboration between the design and construction functions from the project start. Instead of managing multiple subconsultants you will work with one design-build team typically led by the general contractor. At TWM, it’s been our experience that when the planning, surveying, architectural design, and engineering phases are performed accurately and with care, then the rest of the construction phases run more smoothly. Our goal is to design every project as if we are performing Value Engineering services so your project is completed without wasting any precious resources on unnecessary design elements. When done well, engineering blends form and function. 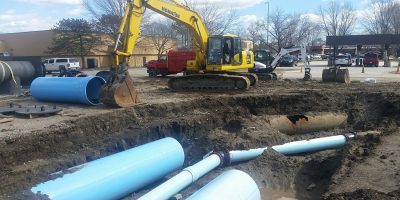 TWM specializes in handling the utilitarian side of design, such as stormwater and wastewater management, structural engineering, surveying and 3D laser scanning, permitting assistance, utility coordination, roadway and pedestrian accommodations, and more. Visit our Construction Phase Services page. TWM joins with a contractor and sometimes other engineering or design firms as the project warrants. 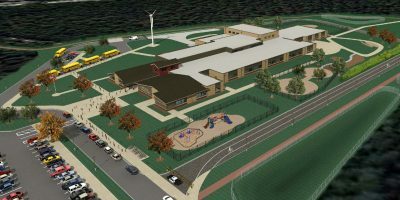 The owner selects a single pre-determined design-build team prior to commencing design. TWM perfoms civil and/or structural engineering design. The contractor builds the project. TWM may perform construction phase services if desired. TWM designs the project and assists the owner in bidding the project based on our contract specifications and plans. Contractors submit bids, we can help you identify the best fit, and your selected contractor builds the project. Then TWM can assist you with construction phase services including documentation and observation to ensure the project is built to the plans.